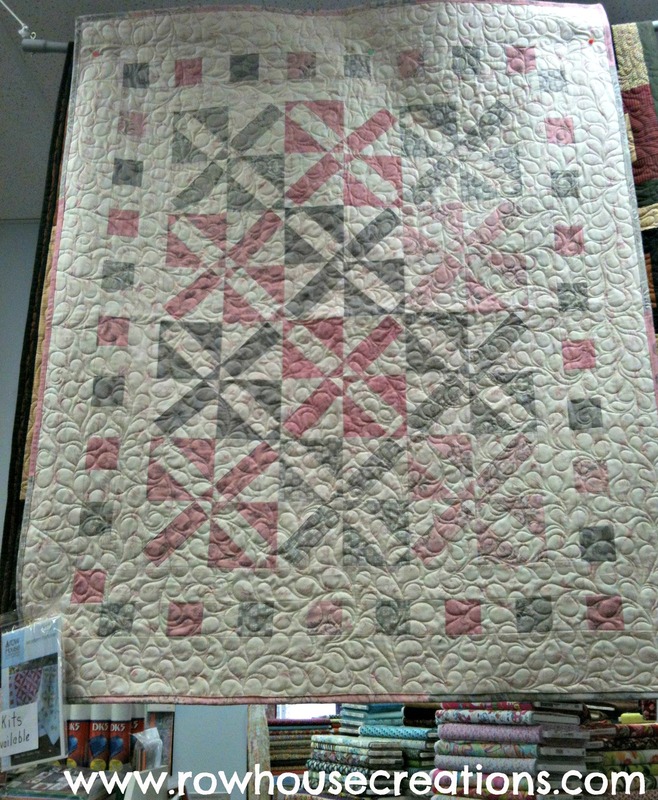 Next week is International Quilt Market in Houston, Texas. Row House Creations, (that’s me and my partner, Trina) regrettably, will not be attending even though a few of our quilts did make the trip. 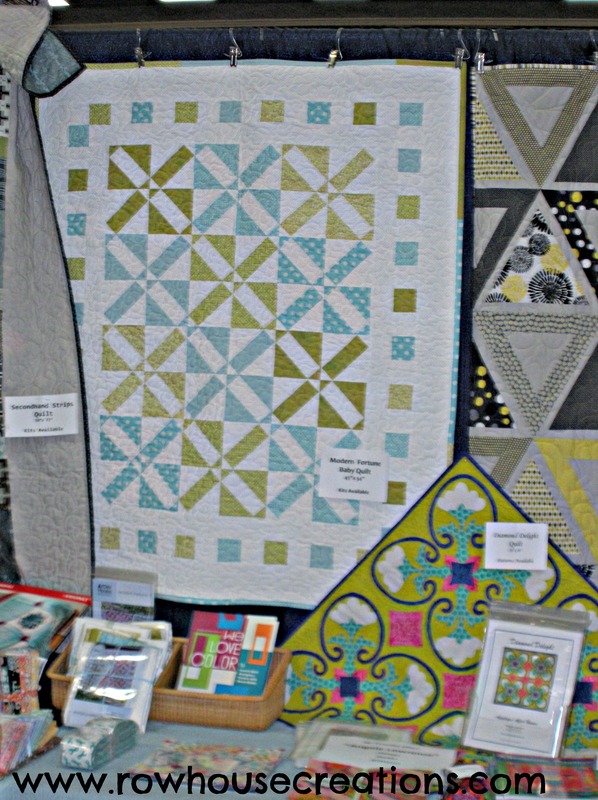 You may remember we attended Spring Quilt Market to introduce ourselves to distributors, make contacts with fabric manufacturers, and research the possibility of one day having our own booth at Quilt Market (still a dream at this point!). It was a very worthwhile trip, and the contacts we made led to some great opportunities and increased pattern sales. These days, we are tweaking our third pattern for *hopefully* a late October/early November release. In the meantime, we have made several different examples of both One Big Cabin, and Modern Fortune. 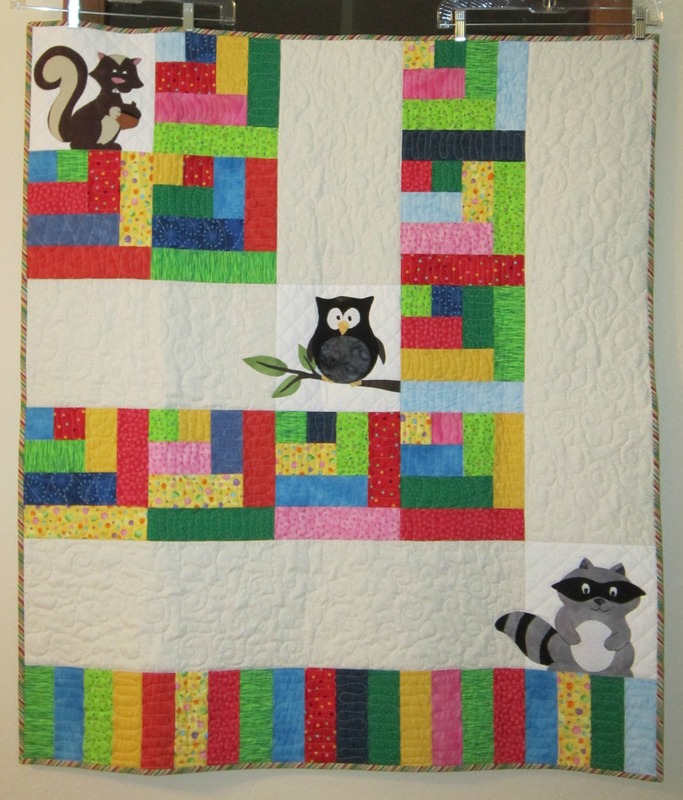 Final shot of this to come; but Trina quilted it in the eleventh hour last week and shipped these sweet little critters off to be displayed at Market in Houston! 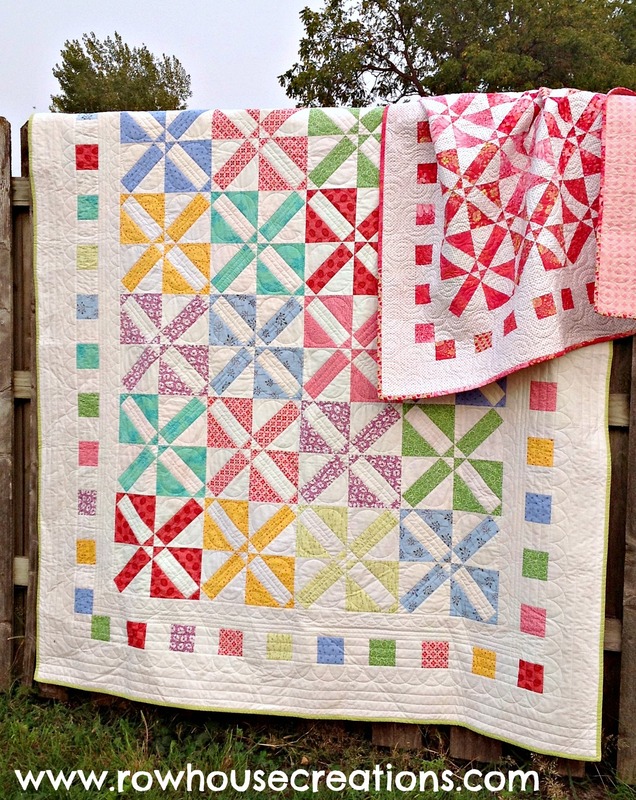 While we are looking forward to being able to make some quilts that are not One Big Cabin or Modern Fortune variations, it has been fun to see these quilts come together in different colors, styles and manifestations. 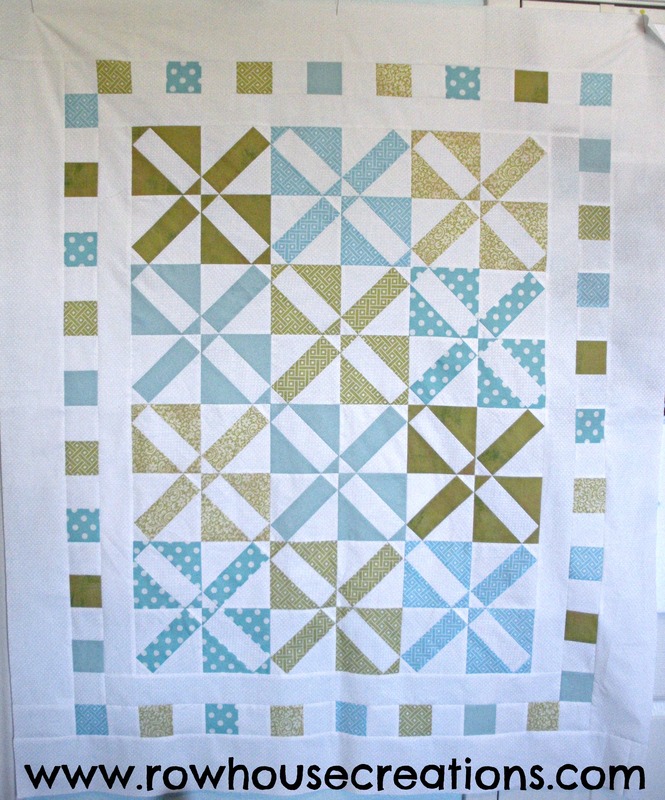 (Secretly, we hope that we are not the only pattern designers making 6-10 versions of every.single.quilt.) Are we? If we are, we probably don’t want to know. This was a fun surprise… it’s One Big Cabin made by our first customer to purchase a pattern, Linda Brandhagen (made for a grandson, I believe). She emailed this photo to share with us–isn’t it adorable? Thanks, Linda! If you have purchased (or won!) 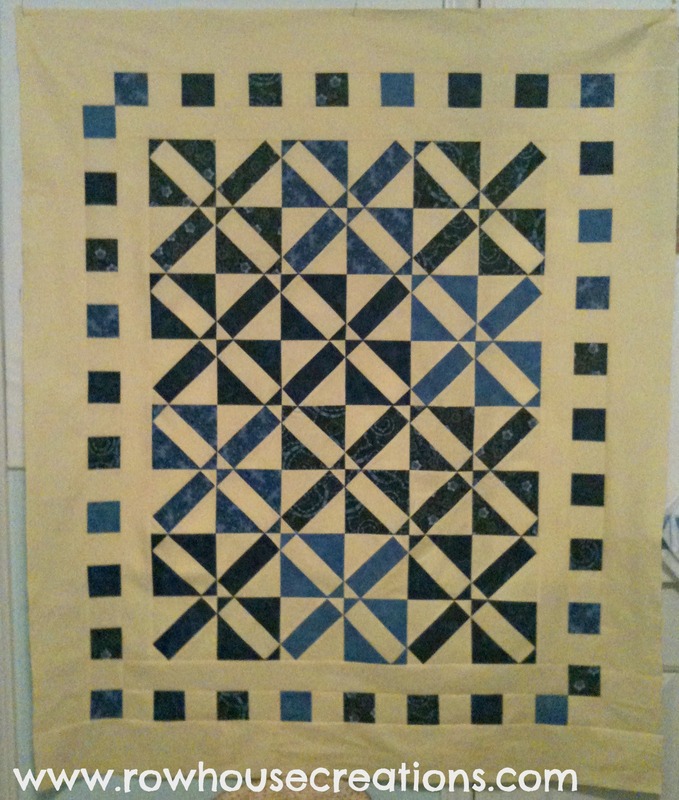 a copy of any of our patterns, and made something from it, please share it with us in our flickr group. 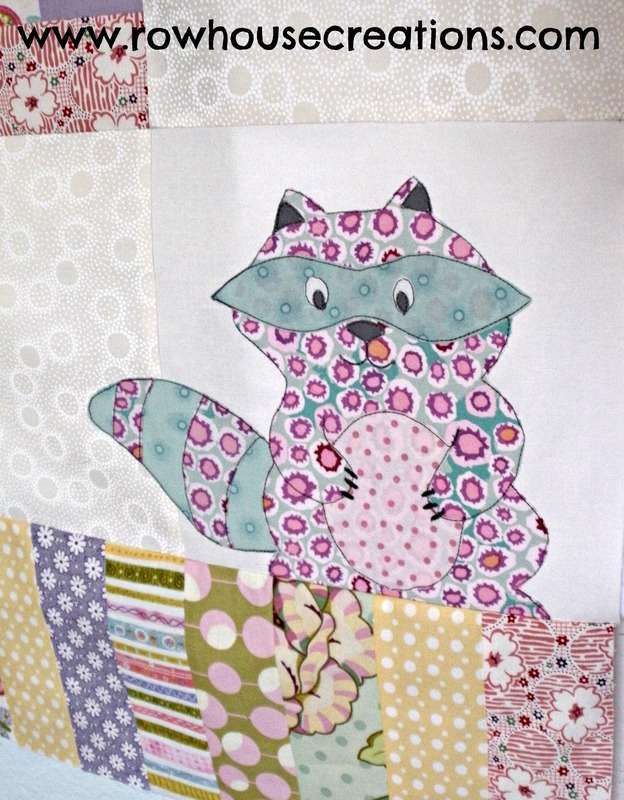 We LOVE seeing them made up by other quilters! 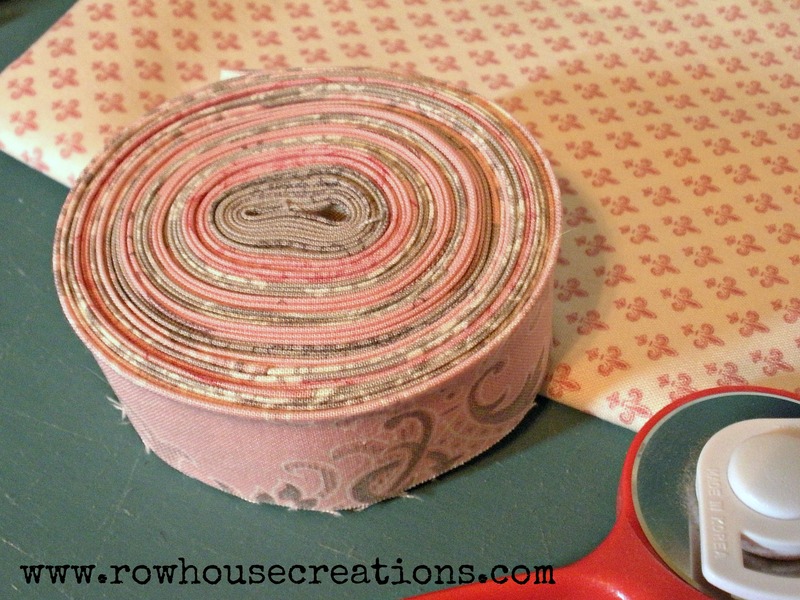 To purchase either pattern online (in print or digital format) visit our shop. 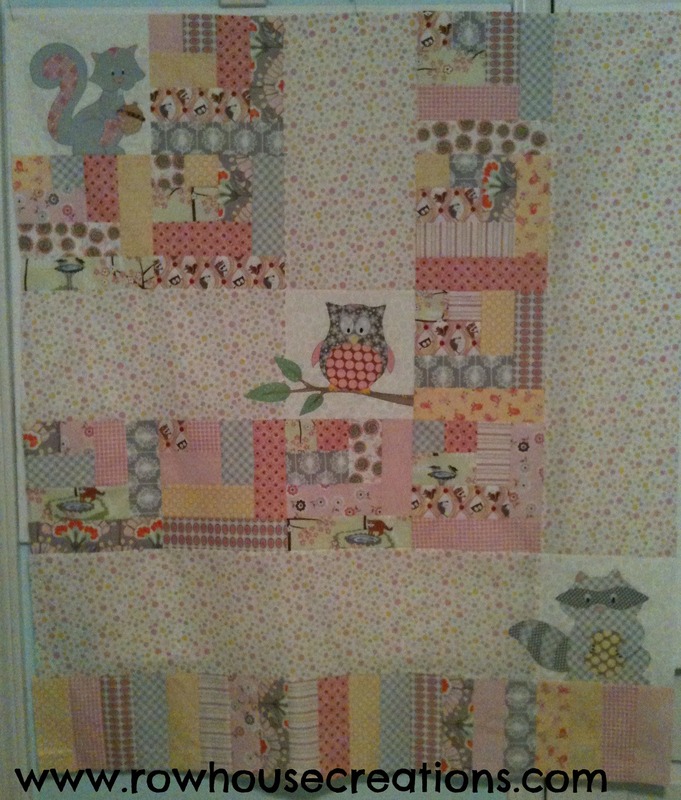 Love seeing all the versions of both your patterns Doris. I am STILL going to make One Big Cabin and have a giveaway – I’ve just been so busy since Vince joined my son’s family. Happy weekend. No worries, Mary–I look forward to seeing what you do with it. And hey, those babies don’t staty little for long, they ARE the priority. Tomorrow is the shower for the new granddaughter… we had fun shopping last weekend but spent WAY too much $$!!! 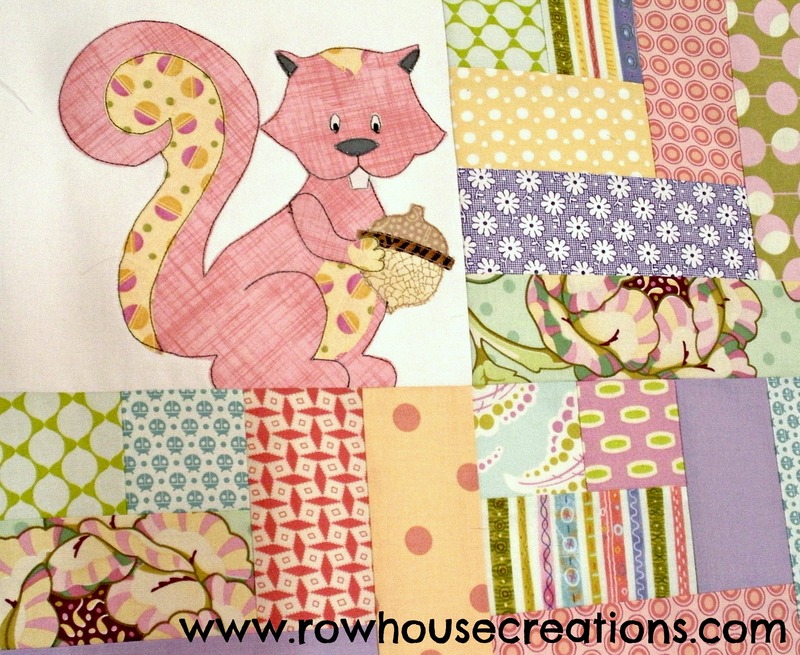 Love that critter quilt… the raccoon is so stinkin adorable… makes me smile. Yes, adorable! That must be pretty fun to see your design made up in so many different patterns. 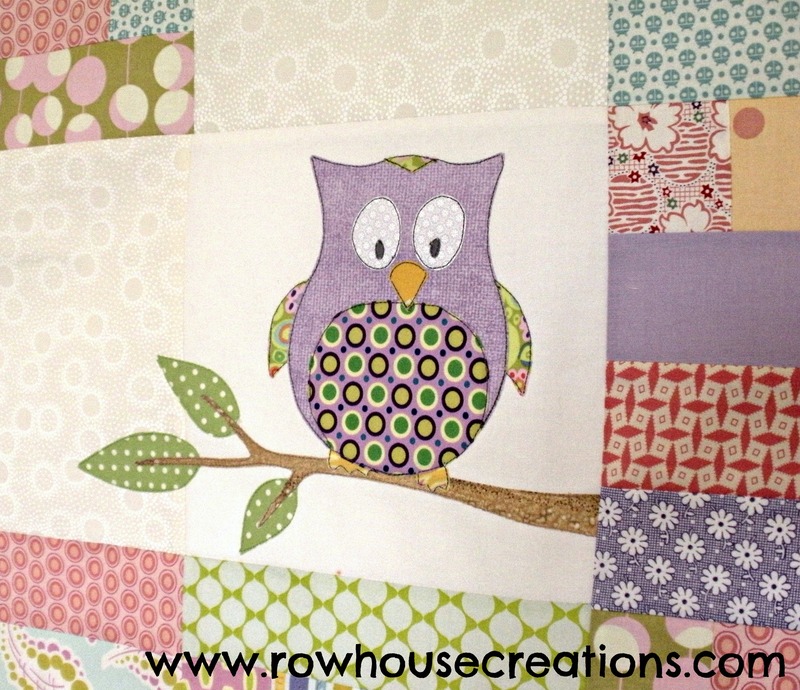 Just found your blog through Blogtoberfest … what a gorgeous array of quilts!